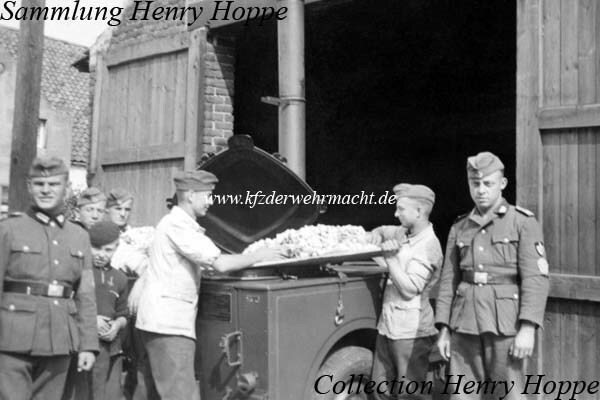 This type of field kitchen appears in context to the Reich Labour Service (RAD). Therefore, this is most probably a RAD field kitchen. 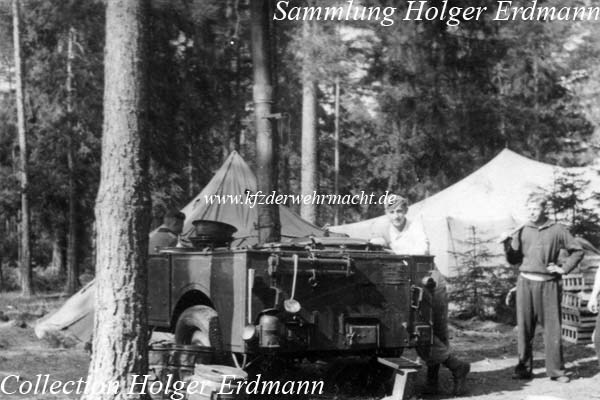 The shown photo proves, that this type of field kitchen was also used by the Wehrmacht. The chimney could be lengthened on the RAD field kitchen. The lengthening element was stored under the chassis frame, which can be seen on the upper photo. The lid of the boiler was nearly quadratic on the RAD field kitchen. 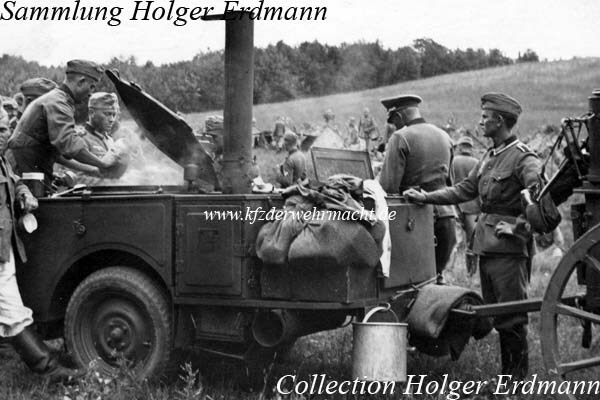 The normal Wehrmacht field kitchens had round lids.